Have you recently purchased larger wheels and tires and not enjoying the handling of the steering on your vehicle? Bilstein 5100 series steering damper will help with that. They help with reducing vibration, the wear and tear on the steering components and digressive valving. These steering stabilizers replace your vehicle's OE stabilizer so it makes for an easy installation that only requires you to bolt them on. Bilstein 5100 series steering damper come in a durable zinc coating that will protect your steering stabilizer from corrosion. They use high gas pressure monotube design that help with suspension inputs right away. You might not mind a bumpy ride, but no one likes when you aren't able to control your steering. Another plus is that this will help with any steering wobble problems that you may see with OE dampers. 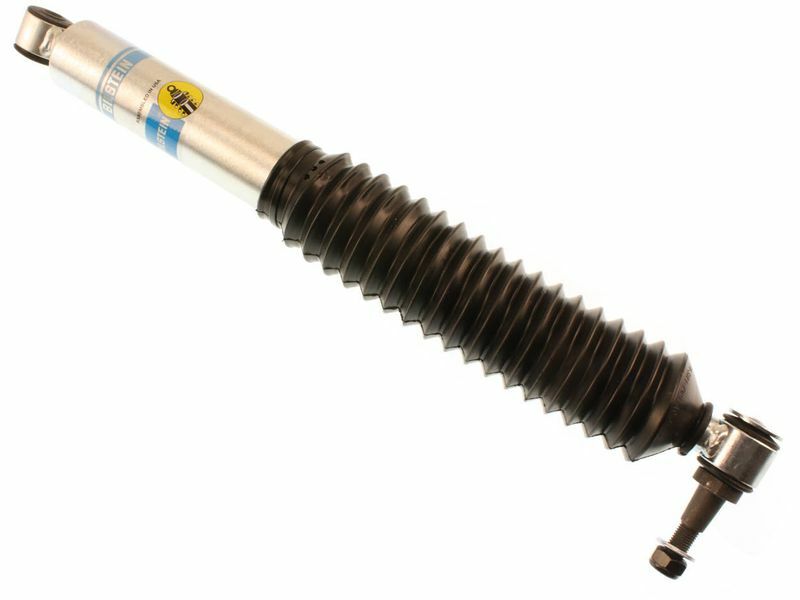 Get the Bilstein 5100 series steering damper today so you can look forward to driving down the road and not having to deal with any pesky steering problems. Bilstein 5100 series steering damper are easy to install. They are a direct bolt-on installation with no modification needed.